Katrina Kaif definitely knows how to turn heads. While the usual Kat would just avoid social gatherings as she’s not a big fan of it, this new Katrina definitely thinks otherwise! And we are totally loving it that she’s going out and socialising with others in the industry. 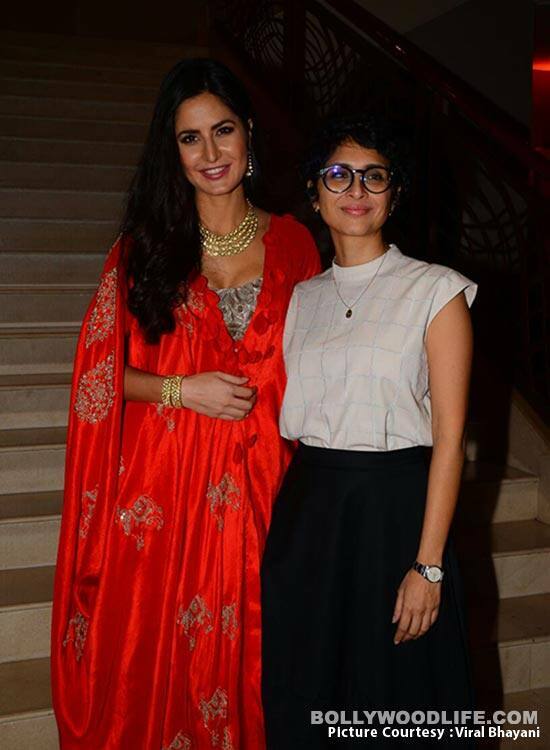 So, the JIO MAMI 2016 that is organised by Kiran Rao, has been flooded with celebrities who are showing their support for the filmmaker’s this initiative. So far we’ve seenKareena Kapoor Khan, Shahid Kapoor, Aamir Khan, Zoya Akhtar, Sonam Kapoor, Amitabh Bachchan and Jaya Bachchan and many more. To show support to Kiran, even Kat decided to drop in. 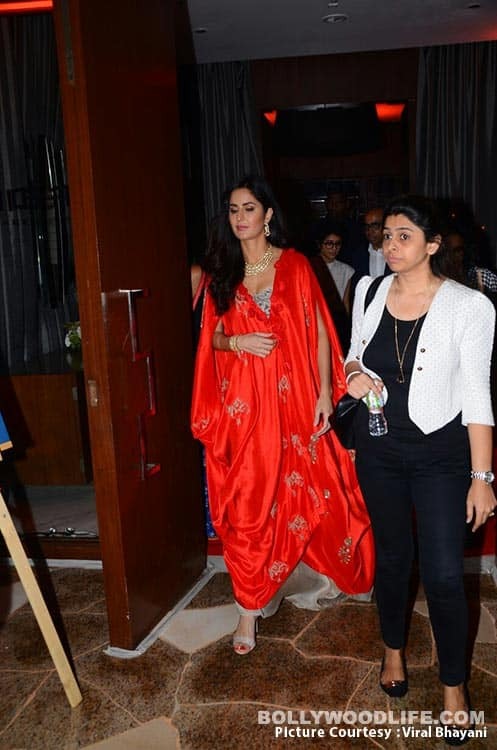 Wearing a red Anamika Khanna creation, the actress managed to dazzle as the sequined outfit complemented her really well. Known to pull off clothes with sheer panache is something Miss Kaif is stupendous at. 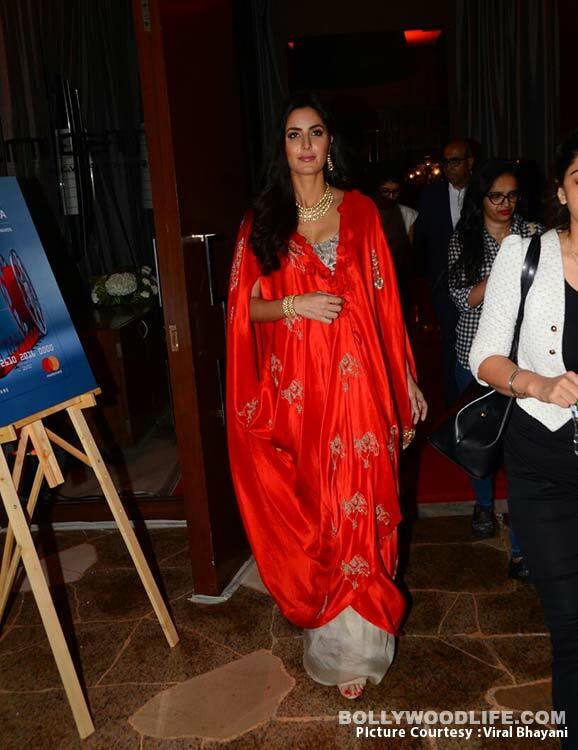 Fashion expert Manish Mishra told BollywoodLife, “It’s a beautiful Anamika Khanna outfit with her signature draping and embellishments. Katrina is in excellent shape and complements it beautifully. I think it’s not photographed well while she’s walking so it may not appear very flattering but it’s a great festive pick.” You can see that the drapes fell on the sides of the actress. Originally, as shared by her stylist, Tanya Ghavri, we can see that a lot of other elements of the outing have been covered by the drapes. In her post, you can see that it’s a skirt and a blouse with an additional layering done to make the look more festive and bright. You gotta admit that she does stand out. 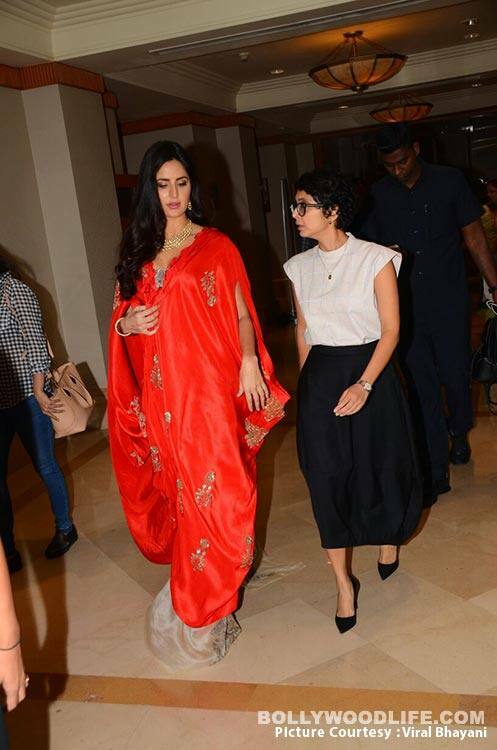 With a fashion faux pas she did the previous week, thanks to the dull Oscar De La Renta pink gown, Katrina has cleaned up pretty well. 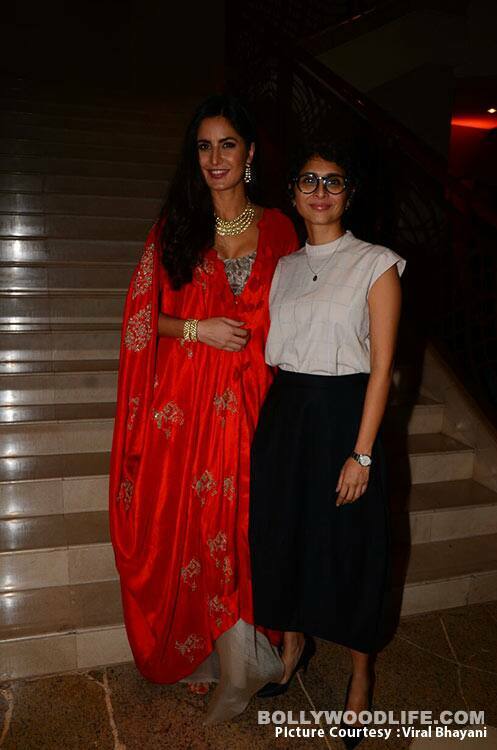 In fact, Diwali sure has started early for Miss Kaif as she has dressed up for the festival of lights! Doesn’t it look like an ensemble you would choose for Diwali? It’s not something I’d choose for a festive look or even for an event like MAMI as it seems a little too overdressed, in my opinion. But the overall look is quite nice. I would like to make a Game of Thrones reference here and state how she could be Bollywood’s very own Melissandre, courtesy that red outfit. Perhaps that’s a joke only GoT fans will comprehend. Without further instructions, I urge you to tell us your thoughts on this outfit in the comments section below. Stay tuned to this space for latest updates on trends and fashion!